The London Magazine has been home to some of the most prestigious poets in its long publishing history, from John Keats to Sylvia Plath. 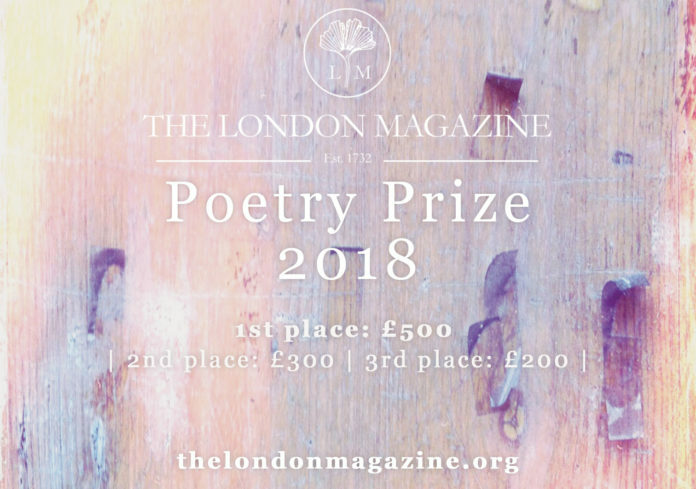 Our annual Poetry Prize seeks out new voices in poetry, providing a platform for publication in the UK’s oldest literary journal. All poems submitted must be previously unpublished and no longer than 40 lines. We have no criteria as to theme, form or style but are looking for diverse work which is not afraid to innovate and startle. This competition is open to international entries. The winning poems will be published in future issues of The London Magazine and there will be an award ceremony held in London for the winners. Les Robinson was the founding Director of tall-lighthouse, a renowned poetry publishing business. This organisation introduced many new voices to the UK poetry scene through publishing award-winning poetry pamphlets, as well as organising readings, events, and literature based workshops. Poets first published by Les at tall-lighthouse who have gone on to achieve major successes include Helen Mort, Sarah Howe, Emily Berry, Liz Berry, Adam O’Riordan & Rhian Edwards. 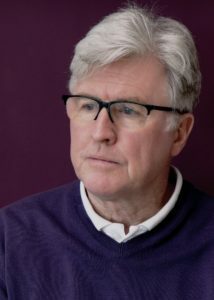 Les was also a Trustee of the Poetry Book Society (PBS) and in 2013/14 completed a project editing the 20/20 series of poetry pamphlets for EYEWEAR press. The series was short-listed for the 2015 Michael Marks pamphlet publisher award. In April 2017 Les assumed the role of Managing Editor for ignitionpress at The Poetry Centre, Oxford Brookes University helping them to launch an exciting new pamphlet press. The first three pamphlets were published in March 2018 and of these Mary Jean Chan’s pamphlet was chosen as PBS pamphlet choice for Summer 2018. 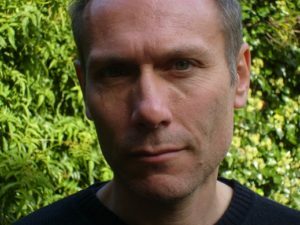 Mark Ford has written four collections of poetry: Landlocked (Chatto & Windus,1992), Soft Sift (Faber & Faber, 2001), Six Children (Faber & Faber, 2011), and Enter, Fleeing (Faber & Faber, 2018). He has also published two monographs, Raymond Roussel and the Republic of Dreams (Faber & Faber, 2000) and Thomas Hardy: Half a Londoner (Harvard University Press, 2016), and is the editor of the anthology London: A History in Verse (Harvard University Press, 2012). His most recent collection of essays, This Dialogue of One: Essays on Poets from John Donne to Joan Murray (Eyewear, 2014), was awarded the Poetry Foundation’s 2015 Pegasus Award for Poetry Criticism. He is a regular contributor to the London Review of Books, the Times Literary Supplement and the New York Review of Books. A selection of his poetry is available here; and an ongoing series of podcasts made with Seamus Perry about twentieth-century poets (soon to include Thomas Hardy) is available on the London Review of Books website. 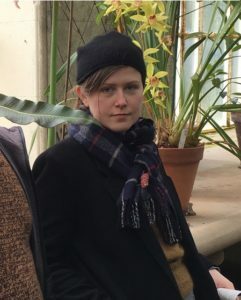 Sophie Collins is co-editor of tender, an online arts quarterly, and editor of Currently & Emotion (Test Centre, 2016), an anthology of contemporary poetry translations. small white monkeys, a text on self-expression, self-help and shame, was published by Book Works in 2017 as part of a commissioned residency at Glasgow Women’s Library. Who Is Mary Sue? (Faber & Faber), published in February this year, is her first poetry collection. She is an Assistant Professor of Creative Writing at Durham University. Please read our competition rules carefully before entering. Make sure to include your completed entry form with your submission if submitting by any means other than Submittable. This can be downloaded from our website and sent to us by post. If you have any questions, please contact Emma at competition@thelondonmagazine.org. 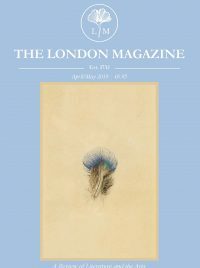 To receive competition updates and all the latest news and offers, sign up for The London Magazine‘s Official Newsletter. Don’t forget to follow us on Twitter and Facebook for updates!